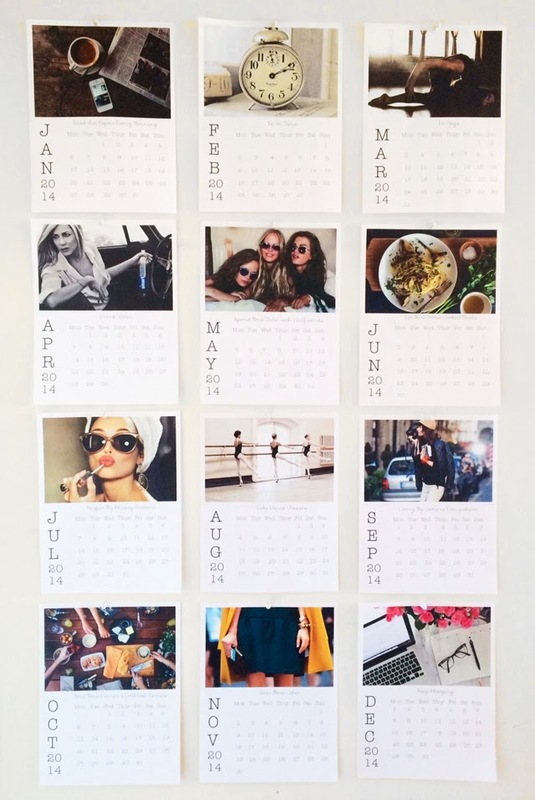 The Resident Tourist: Resolutions Calendar . . . Resolutions Calendar . . . Remember a few weeks ago when I posted my resolutions for the year? I had alluded to a little DIY project I was working on to keep myself on track. Well, here it is. My Resolutions Calendar. I assigned each resolution to a month, found photos to represent them, and created a calendar that I tacked up my wall. So now, anytime I walk into my room, I'm reminded (with pretty pics!) of my goals for the year. It makes me really, really happy. I know we're inching up on February, but if you like this calendar and don't yet have one of your own, shoot me an email at residenttouristblog@gmail.com - I'll gladly send you a PDF of mine! Happy Super Bowl Weekend, NYC . . . Happy Belated . . .